LOS ANGELES (AP) — Christina Aguilera is lending her voice to a Michael Jackson tribute concert planned for October in Wales.Organizers of "Michael Forever — The Tribute Concert" announced Thursday that Aguilera would be joined by members of the Jackson family, Cee Lo Green, Leona Lewis and the band Alien Ant Farm, which is known for its cover of Jackson's song "Smooth Criminal." While the event is endorsed by the singer's mother and some of his siblings, brothers Randy and Jermaine Jackson have protested its timing. 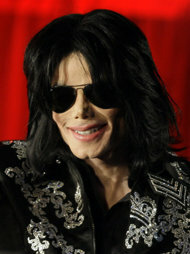 The concert is scheduled during the trial of a doctor charged in Jackson's death.